Coleoptera, commonly known as “beetles,” with about 400,000 species, is the largest order in nature, constituting almost 40% of described insects and 25% of all known animal life-forms. The extraordinary species richness probably resulted by their elevated survival of lineages and their sustained diversification in a variety of niches (Hunt et al., 2007). 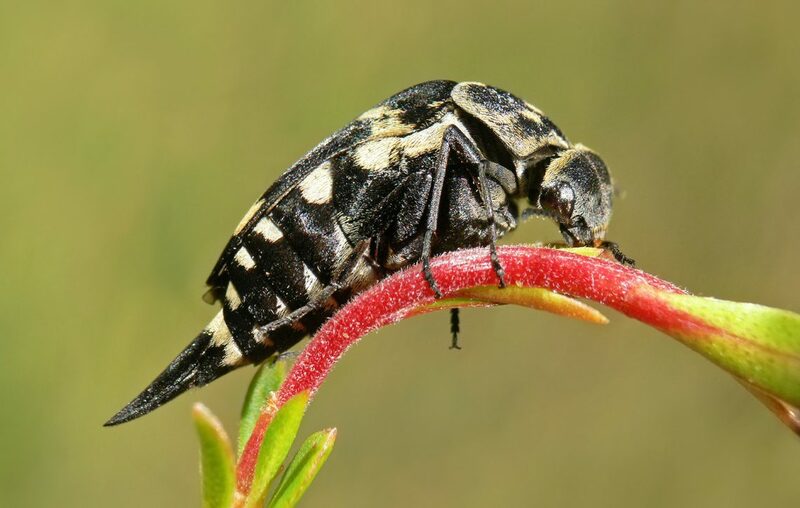 Beetles are currently among the most important pollinators of flowering plants, especially basal angiosperms, represented by particular species of four groups: Scarabaeoidea, Tenebrionoidea, Curculionoidea, Chrysomeloidea (Wang et al., 2013). They are also widely accepted among the earliest insect visitors and pollinators of angiosperms since the flourish of angiosperms in the Early Cretaceous had a huge impact on their nutrient selection (Grimaldi, 1999; Peris et al., 2017). However, the evolutionary dynamics of their diverse feeding strategies still need more explanations. Recently, the fossil species from lower Cenomanian amber of Myanmar provide key resources to make a breakthrough. The research focuses on the taxon of superfamily Tenebrionoidea (Fig.1), which is the third-largest group in Coleoptera, with more than 34,000 described species and a wide range of feeding strategies including herbivorous, frugivorous, saprophagous, predacious, fungivorous, roots-eating, flower-eating, and stem-boring. With the morphological method, the taxonomic and phylogenic study of Tenebrionoidea remains problematic, e.g., the uncertainty of apomorphy characters between different taxa and ambiguity phylogeny relationship. (Beutel and Friedrich, 2005; Lawrence and Newton, 1995). The newly-established family Apotomouridae (Fig.2) shares characters with Mordellidae, meanwhile obtain ancestral characters, e.g. 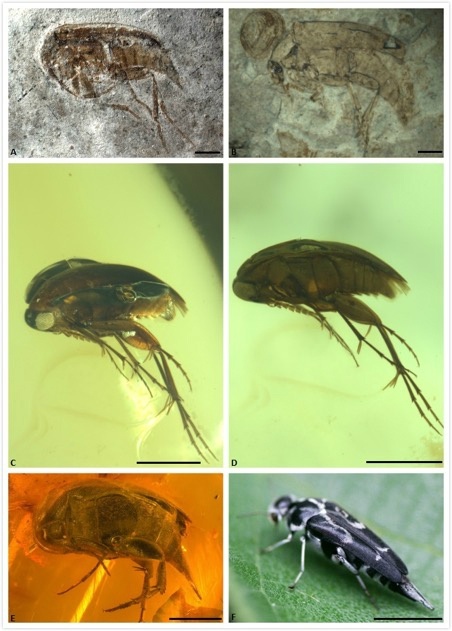 microstructures on hind legs and the absence of pygidium (Bao et al., 2018), which related them to the earliest fossil records of Tenebrionoidea, Wuhua sp., from the Middle Jurassic of Daohugou, China, and from the Upper Jurassic of Karatau, Kazakhstan (Wang and Zhang, 2011). Indeed, Wuhua also shares similarities to Mordellidae, such as having a tarsal formula of 5-5-4; the body wedge-shaped and elongated, its head is deflexed, and the abdomen (not pygidium) extends beyond the elytra; but the absence of a pygidium and less-developed leg structure make them distinct from any extant family. The earliest definitive Mordellidae (Fig.3) has been reported from the earliest Cenomanian (Middle Cretaceous) Burmese amber (Bao et al., 2019), featured by the well-developed hind legs and elongated pygidium. The comparative morphology study of the Mordellidae and Mordellids-like fossils species of from Jurassic to Cretaceous could draw an outline of the evolutionary trend, highlighting the possible changing of locomotion strategy from simply crawling to jump-flying (Huang and Yang, 1999) and the changing of diet from surface nutrition (fungi, moss, lichen) (Peris et al., 2017; Wang et al., 2013) to herbaceous flowers (Franciscolo, 1957). Based on the molecular analysis, the Mordellidae family have been proved to be among the most basal groups of Tenebrionoidea (Gunter et al., 2014). The achievement from this research will provide a new insight into this early plant-insect relationship. The adults of modern Mordellidae are phytophagous, apparently feeding on the pollen of many plants, especially of umbellifers (Apiaceae) and composites (Asteraceae) (Jackman and Lu, 2002). The 3D-preservation of the amber specimens gave possibilities to study the detail mouthpart microstructures and the pollen type which attached on the body surface. Based on these data, we may estimate their nutrition during the Cretaceous period and reconstruct their ecology. The article is mainly based on the two research papers, The first true Mordellidae (Coleoptera: Tenebrionoidea) from lower Cenomanian amber of Myanmar and New family Apotomouridae fam. nov. (Coleoptera: Tenebrionoidea) from lower Cenomanian amber of Myanmar, recently published in the journal Cretaceous Research. The works were conducted by Tong Bao (University of Bonn), Katarzyna S. Walczynska (University of Gdansk), Samantha Moody (University of Bonn), Bo Wang (the Chinese Academy of Sciences) and Jes Rust (University of Bonn). Franciscolo, M.E., 1957. Coleoptera: Mordellidae. A monograph of the South African genera and species 1. Morphology, subfamily Ctenidiinae and tribe Stenaliini. South African Anim. Life 4, 297–291. Huang, D.Y., Yang, J., 1999. Early Cretaceous fossil Mordellidae (Insecta, Coleoptera) from western Beijing. Acta Palaeontol. Sin. 38, 125–132. Jackman, J.A., Lu, W., 2002. Mordellidae Latreille 1802, in: Arnett, R.H., Thomas, M.C., Skelley, P.E., Howard, J.F. (Eds. ), American Beetles. Polyphaga: Scarabaeoidea through Curculionoidea. CRL Press LLC, Florida, pp. 423–430. Lawrence, J.F., Newton, A.F.J., 1995. Families and subfamilies of Coleoptera (with selected genera, notes, references and data on family-group names), In: J. Pakaluk and S.A. Slipinski (eds. ): Biology, phylogeny, and classification of Coleoptera: papers celebrating the 80th birthday of Roy A. Crowson. Museum i Instytut Zoologii PAN, Warszawa. 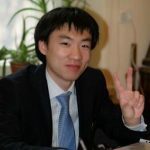 Tong Bao currently works at the Steinmann Institute of Geology, Mineralogy and Paleontology, University of Bonn. His main research topic is "Diversity of pollinating strategies of Mesozoic beetles". He has interests in evolution, sedimentology, paleogeography, and geobiology. Katarzyna Walaczynska is a Ph.D. student at the University of Gdansk in the Institute of Oceanography. Their areas of research expertise include biodiversity, ecology and evolution, molecular ecology, and conservation biology.